It’s only appropriate that getting Grant Gustin and Stephen Amell into each other's costumes—and oh, like, the arrival of Batwoman herself on TV—is marked with its own comic book cover. While it might not have quite so much of the “everyone is here!” vibes of the Phil Jiminez art created for Crisis, it’s still a great little cover filled with cute nods—right down to even borrowing Elseworlds’ titling from the comics. 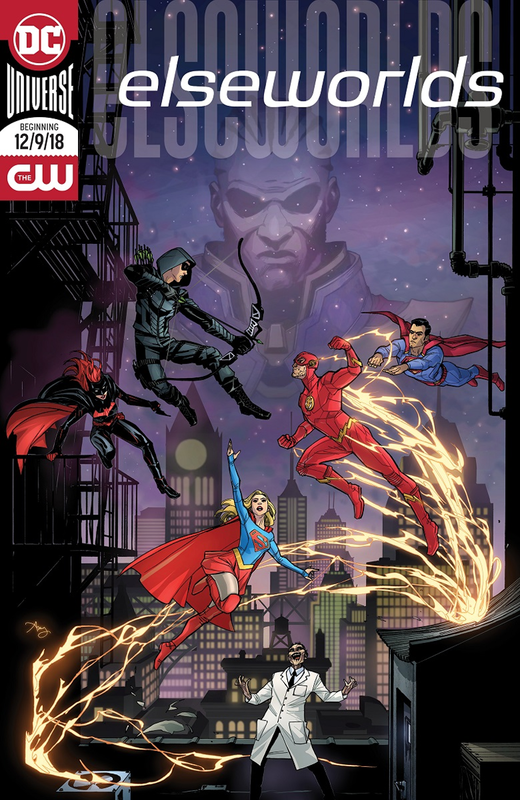 Alas, this is just promotional art, there is no actual comic: you’ll have to wait until Elseworlds kicks off on The Flash next month.